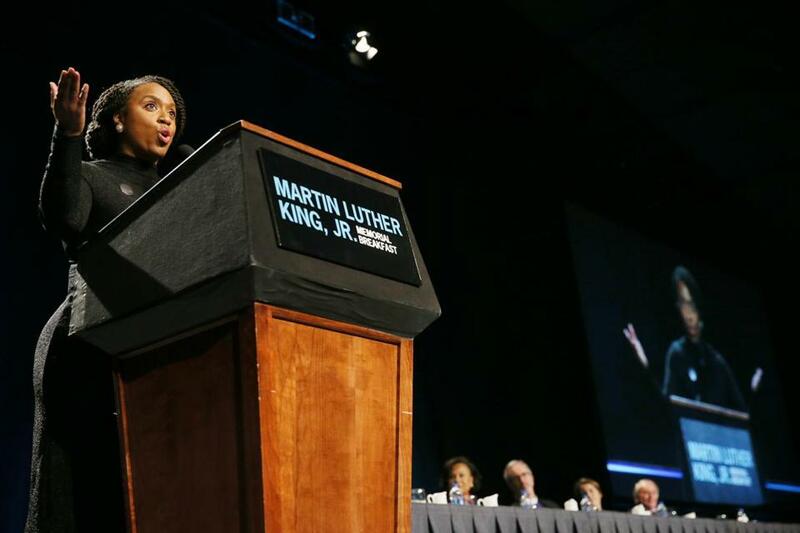 Senator Elizabeth Warren addressed the crowd Monday during the Martin Luther King Jr. Memorial Breakfast at the Boston Convention and Exhibition Center. Senator Elizabeth Warren on Monday laid blame for the government shutdown on President Trump and his demands for a border wall, sharpening her already reproving criticism of the president as the historic closure dragged past a month. Warren’s comments, while echoing that of many of her Democratic colleagues, marked some of her most overt censures of Trump since launching an exploratory committee last month — a stretch often marked by her efforts to avoid mentioning Trump by name. Warren also signaled a willingness to “negotiate” immigration legislation, but only after ending the shutdown, which enters its 32nd day Tuesday. 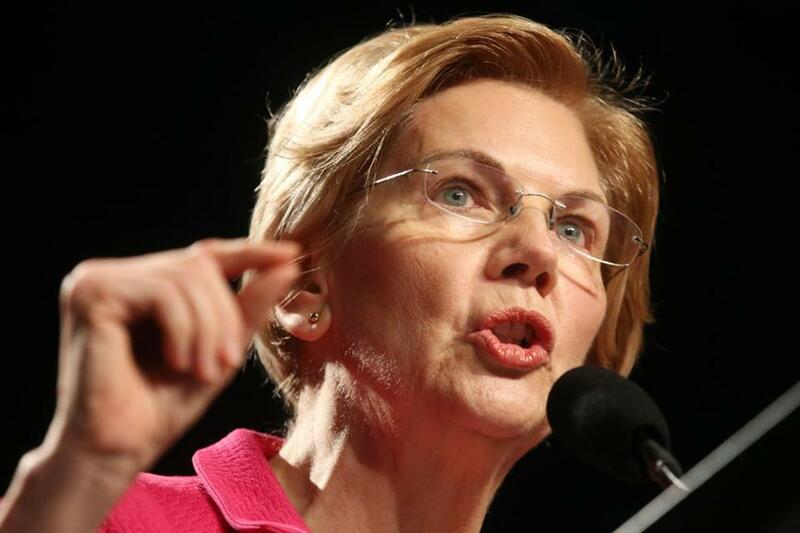 “As we speak, our government is shut down for one reason: so that the president of the United States can fund a monument to hate and division along our southern borders,” Warren told a crowd of hundreds during a Martin Luther King Jr. memorial breakfast at the Seaport’s Boston Convention & Exhibition Center. Speaking afterward to reporters, Warren said federal workers should not be used as “pawns,” and she later appeared at Logan International Airport to rally with union workers. In a Martin Luther King Day appearance on “Good Morning America,” Harris said she will officially launch her campaign next weekend at a rally in Oakland. Trump on Saturday offered to temporarily extend protections for three years for young immigrants brought to the country illegally as children, known as Dreamers, in exchange for $5.7 billion for his wall along the southern border. But Democrats quickly called it a nonstarter, and many, like Warren, called for an end to the shutdown before discussing immigration or border security. At Logan, Warren, Senator Edward J. Markey, and City Councilor Lydia Edwards joined more than 100 airline workers from Flight Services & Systems, a contractor that primarily provides JetBlue Airways with baggage handlers, wheelchair attendants, cabin cleaners, and skycaps. Workers say the company has been reducing their hours, changing their schedules, and for some withholding more than half of their wages. The company has been fined in the past for wage theft, and there have been three cases filed with the attorney general over the last month. The Flight Services workers connected their situation to that of furloughed federal employees due to the government shutdown, which has affected 800,000 across the country and 8,200 in Massachusetts. Warren’s 11-minute speech at the breakfast Monday hewed closely to the stump speech she’s used in recent weeks, including decrying the role of racial discrimination in holding back people of color. 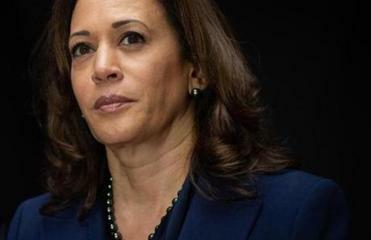 Warren also welcomed fellow Senator Kamala Harris into the presidential field Monday, calling her a “terrific” addition to a growing array of potential candidates that already includes four women. Senator Kirsten Gillibrand, a New York Democrat, and Representative Tulsi Gabbard, of Hawaii, have also announced they will run. “I like hearing the core issues that we should be debating in this country, and drawing the contrast between the Democrats and Donald Trump. That’s what we do every day,” Warren said. She was one of several elected officials on hand to honor King’s legacy. Others included Markey, Governor Charlie Baker, and Representative Ayanna Pressley, whose introduction drew the loudest cheers in the third-floor ballroom. “Instead I came here to salute, to celebrate, to lift up, to recognize, and to affirm the resilience, the intellect, the courage, the beauty, the tolerance of the oppressed,” she said. Pressley also took delight in her recent appointment to the powerful House Financial Services committee, which regulates banking, real estate, and insurance. The Democrat signaled she would be intently focused on housing and Housing and Urban Development Secretary Ben Carson. “I hope he wakes up every day worried about me,” she said to cheers. Representative Ayanna Pressley’s introduction drew the loudest cheers from the hundreds gathered in the ballroom. can be reached at matt.stout@globe.com. Follow him on Twitter @mattpstout.